The relevant statute for Driving While Intoxicated (DWI) or Driving Under the Influence (DUI) in Burlington County is N.J.S.A. 39:4-50. Pursuant to the New Jersey legislature, it unlawful for a person to operate a motor vehicle with a blood alcohol concentration (BAC) that exceeds 0.08%. If you have already been convicted of a DWI in the past, then you probably have some familiarity with the law. What you may not know is that with each subsequent conviction, the penalties increase in severity. This means that while you may have avoided prison on your first DWI, a conviction for a third will carry a MANDATORY prison sentence. Burlington County Municipal Prosecutors and Judges have no discretion in handling these DWI cases. They cannot allow you to plead to a lesser charge and, if convicted, they must impose certain penalties, as required by law. For this reason, it is imperative that you fight these charges prior to and during trial, so as to obtain a dismissal or acquittal of your charges. At the Proetta & Oliver, our team of criminal trial attorneys have over years or cumulative experience. Firm Partner and Former NJ Deputy Attorney General, William C. Fay, IV, spent his career prosecuting charges on behalf of the State in Trenton, NJ. Mr. Fay and the rest of our legal defense team have obtained dismissals and acquittals of DWI/DUI charges throughout New Jersey, Burlington County included. Call our Office and speak with an experienced attorney today by calling 609-850-8284. Find out how we can assist you with your pending DWI charges. Will I Go to Jail for a Third or Subsequent DWI in Mount Laurel? 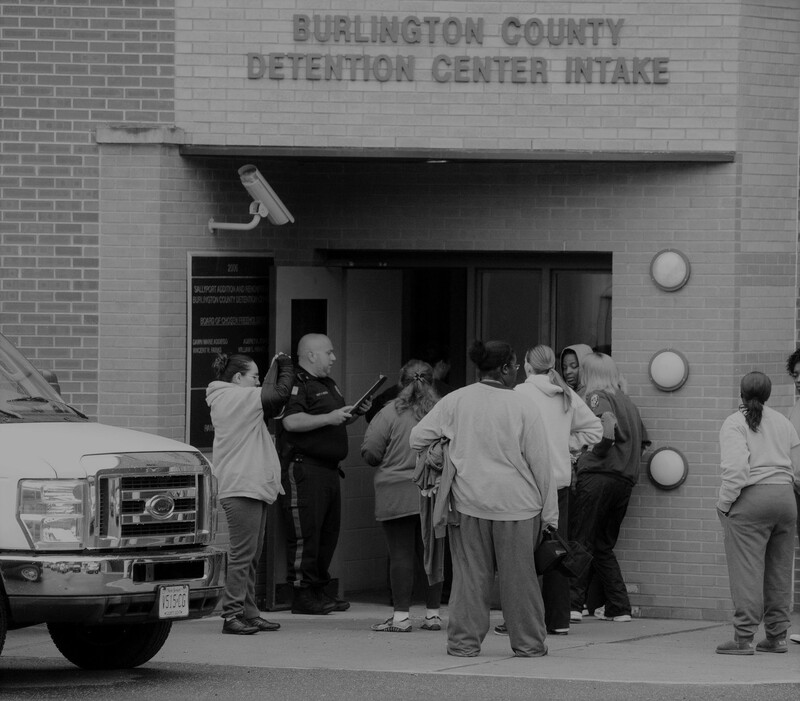 If convicted of a third violation within ten (10) years of the second offense, you will be subject to a mandatory minimum of 180 days in the Burlington County jail. This sentence may be adjusted to allow for up to ninety (90) days of participation at a inpatient drug or alcohol rehabilitation program. A third time offender will also lose their license for ten (10) year, be forced to install an ignition interlock device, fined $1,000.00, three years of Motor Vehicle Commission surcharges for thousands of dollars as well as the following mandatory assessments: $50 for the Victims of Crime Compensation Board, $75 for the Safe Neighborhood Fund, $100 for DUI Enforcement, and $100 as a DUI Surcharge and $33 in Court Costs. What is “Operation of a Vehicle” for a New Jersey DWI? Typically, to prove this the prosecution must show is that the defendant was essentially sitting on the driver’s side, behind the wheel of the car. Simply being in this location will be sufficient for proof control. Just as DUI offenses can apply to non-automobile, this element will only require control of the wheel or object used to steer and move the motor vehicle. The term “intent” here, indicates that actual movement of the car is not necessary to prove “operation of vehicle” under a DUI offense. Instead, a mere intention to move the car is sufficient. In theory, a person could start the car and be sitting in the driver’s seat, but if they have no intent of placing it in motion then, technically, they are not operating the motor vehicle. Despite this caveat, however, intent can be proven, when a person is in an intoxicated state, by virtue of all actions taken even if the defendant claims they had no intent to move the vehicle. What this means is that the police can infer intent when a person is in an inebriated state. Under this portion of “operation of a motor vehicle”, the defendant must take an action reasonably calculated to put the motor vehicle in motion. The use of the phrase “reasonably calculated” permits an expansive interpretation for this section because because there are many things that can be construed as actions reasonably calculated to put a motor vehicle in motion. Prosecutors will look to construe the facts as broadly as possible, in an effort to indicate an attempt to put the motor vehicle in motion. You may think that not having the keys in the ignition is sufficient to protect you from prosecution, but under this broad interpretation, you may be incorrect. The final element is that the vehicle must be movable by any means possible, including pushing or gliding. Therefore, in theory, a person could be guilty if the first three elements of the offense are satisfied and the car does not even have an engine, so long as the car can still be pushed to be put in motion. Of course, a person could not be guilty of a DWI, however, if the vehicle in question was in fact immovable, such as a person sitting behind the wheel of car with no wheels. The attorneys at Proetta & Oliver understand the complexities within New Jersey’s DWI/DUI laws. Contact our Burlington County Office and speak with an experienced attorney about your charges today by calling 609-850-8284.